When I was digging through my archives, I found my first blog post on Crazy Business Ideas. I thought it would be great to update this article and check out some more crazy business ideas. Who would have thought that some of these ideas would make you money. This business is for those people who are not sure whether they are cut out to be farmers or not. They can rent the chickens, feed and coop for a specified time, with the chickens guaranteed to be laying eggs within two days of arriving. There is the option to adopt the chickens if the prospective farmer falls in love with them. This company operates in the US only, although I believe there is also an Australia version! This company will send scented cologne wipes anonymously from as little as $1.99 to those friends who smell a little stinky. Personally, I still prefer a good old fashioned conversation! The founder of I Do, Now I Don’t was dumped after a three month engagement. The jeweller he bought the ring from offered him less than half the amount he’d paid for it, so he set up his own website which enables people to sell their jewellery to other users. Simple idea, but a great success. While she was on maternity leave, Jenny & Steve Mclaughlan had the idea of making a necklace that would be dafe for babies to chew on while they were teething. The concept has now been extended for children with sensory issues such as autism who still need to chew. The product is made to be non-toxic although it comes with a warning that fully developed teeth will eventually bite through the product, so parent supervision is recommended. 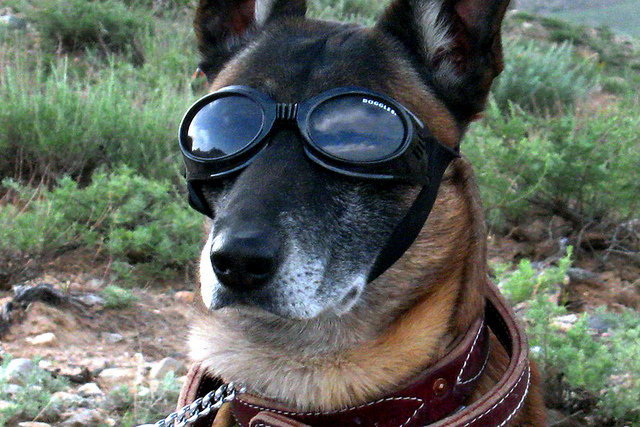 These strange-looking goggles for dogs do have a serious purpose – they can help dogs who have developed eye disease and protect dogs’ eyes from sun damage. The makers of Doggles recommend training your dog to wear them and that they do not wear them indoors. Cool name! For the person who has everything – or someone you don’t like, these candles begin by smelling sweet and then turn to more foul smells. Would you like a candle that changes from apple pie to dirty fart? How about from fresh forrest pine to skunk? I can’t believe these are selling – but I found the website! If you enjoyed this article, then please share to social media. What crazy businesses have you found? Please share in the comments below. Previous PostDay 22: 30 Day Blogging Challenge – Third Week ReviewNext PostDay 24: 30 Day Blog Writing Challenge – am I Mobile-Friendly?